Network News Crews is a full-service Video Production Company in the Charlotte, North Carolina. It was founded in 2001 by our Director of Videography, Frank Nester, who has more than 25 years of experience shooting and editing award-winning video. Our primary work is focused on network news and corporate videos. Our news clients include all the MAJOR TELEVISION AND CABLE NETWORKS. We produce corporate and training videos for high technology and industrial companies such as Salsaritas, Trugreen/Servicemaster, Atlas Copco and many others These videos have been used by their offices all over the world as a tool to promote products, train and recruit employees and enhance product awareness. 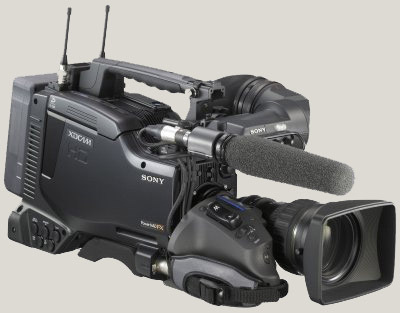 SONY PDW-F800 HD XDCam / Sony PDW-510 XDCam / Sony Z1U DVCam / Sony Betacam 16x9 / NANOFLASH, we shoot on the format to suit your needs.